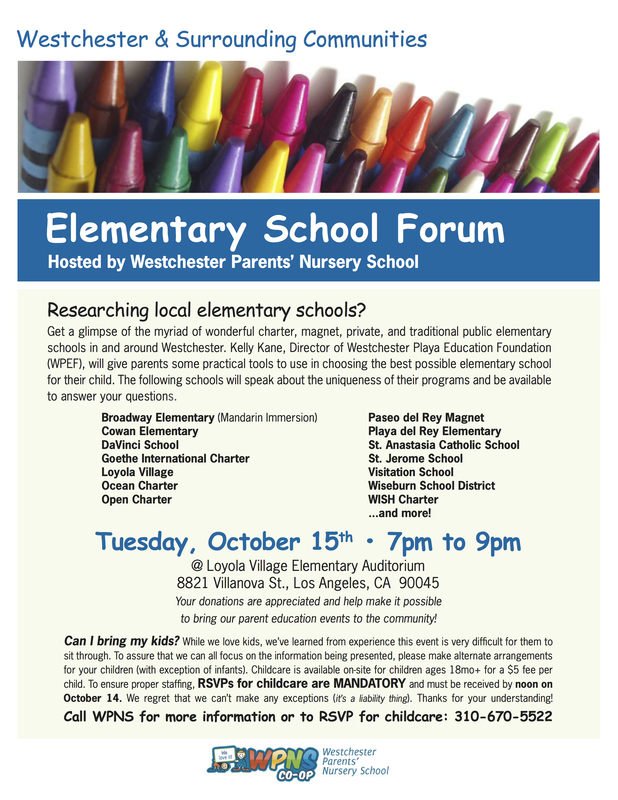 Calling all Westchester and surrounding Westside area parents. Researching local elementary schools? Here’s your chance to get a glimpse of the myriad of wonderful charter, magnet, private, parochial and traditional public schools in and around Westchester/Playa Vista. Over 14 elementary schools will present and answer questions. Free to WPNS parents, $10 suggested donation for non-members.